One of the most compelling pieces of drama I have ever seen. 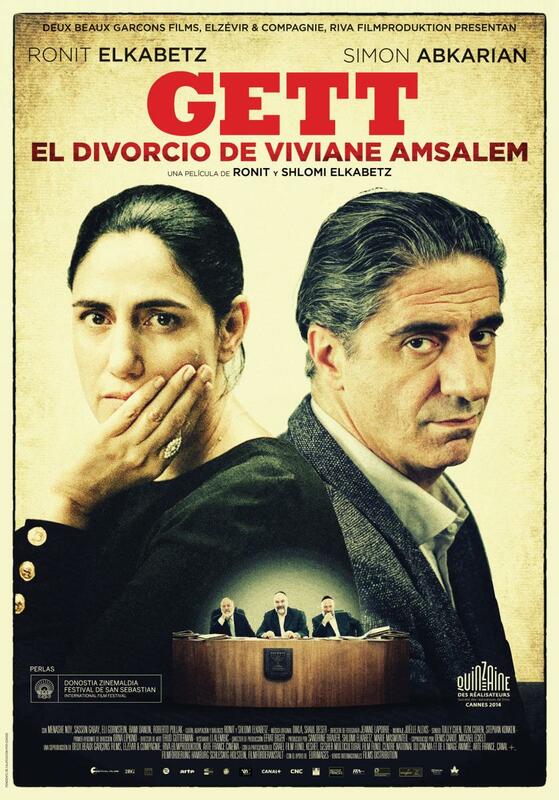 By calling it the best court room drama ever, would mean to diminish its excellency in the genre. We have seen 12 angry men but there were 12 angry men. Here, the entire film is set inside a courtroom with two benches and 3 judges. The film gives unparalleled insight into the plight of women in Israel. A woman files for divorce from her husband wanting to get out of a thirty year old marriage on grounds of incompatibility. The husband, time and again refuses to show up, probably because he can. Since according to their judiciary system, a man can only grant divorce to a woman, there is nothing even the judges can do to force him. Viviane, patiently, months after months waits for an ultimatum by the court because she has lost all hope from her husband to grant her freedom. You could see the tension building. The ridiculous nature of the society we all are a part of, puts a mirror up your face and forces you to see it. At one point, Viviane loses it. For which she was also dismissed from the court. But she comes back, because anger cannot buy happiness. When I watch films like these, I don’t think about filmmaking. I am so intensely gripped by the drama created by the filmmaker that it comes alive. That my friend is called masterpiece. 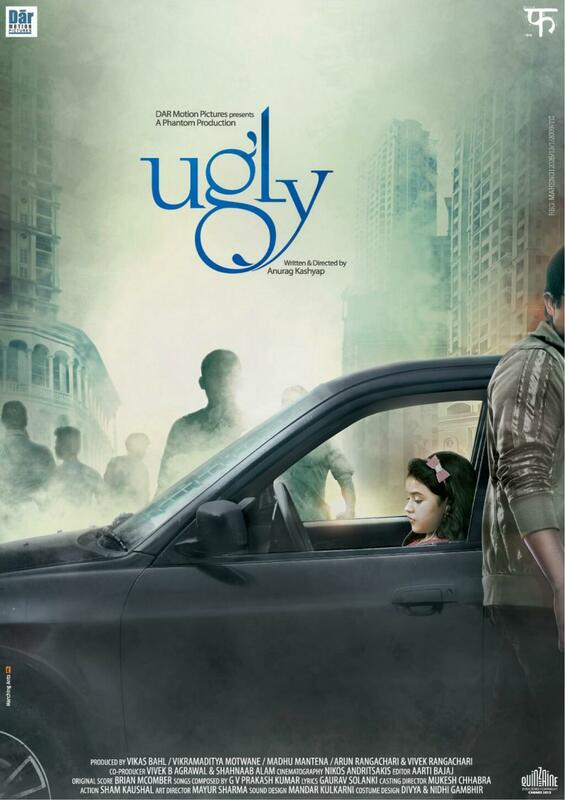 When I saw all the reviews for Ugly, I was really curious to see what Anurag Kashyap had in store for us this time. I have been a fan for quite sometime and even if his new films aren’t as amazing as his previous ones, the fact that he always seems to smartly justify whatever he shows- drags me into the theatre all the time. So it’s a dark film, isn’t it? The shots are dark, even day looks dark and squalor is at another level altogether. It’s about a 10-year old girl who was kidnapped by somebody when her father left her in the car waiting. The film then follows a series of events that reveal the lives of its fucked up characters stuck in their fucked up lives and trying to deal with this fucked up mess. The mother of the child is a once-beautiful, now-a-wreck suicidal crazy woman whose ex husband and the father of the 10 year old is an aspiring wannabe actor who has been struggling for years to get a role. And then there is the step father, a police officer who was once-a-crazy lover of the mother but was beaten by the wannabe-actor father and probably married her because he wanted to take revenge. I call him crazy because he locks his wife in the house and his pastime is to listen to her talk to people on the phone that he tapped. And then there was this ridiculous police officer ofcourse, who was indifferent to complaints, like all Indian police officers are supposed to be like. They say it looked real but I am not convinced. So are you telling me there is not a single character in the film or rather ‘real life’, who actually has some character? I found it forced and very, very manipulating. And there is obviously no way of not feeling bad because there’s a child involved! The issue is big – it’s about child trafficking and also about our obsession with petty things in our lives. I come out of the theatre – horrified and forced to think of all the bad things I hardly even think about. If that was the aim, well done. But it was definitely not a great film. Actors gave a stunning performance and it was a ‘sitting on the edge of the seat’ experience, I am just not quite sure if we can call it a masterpiece. It sure showed us the dark side of our country. I would rather call it really stupid than dark. All the characters except a woman police officer were dumb heads and what can be the sad part of this otherwise beautifully made film is that I don’t quite connect to any of its characters. The biopic is based on the real life story of an old nun accounted by journalist Martin Sixsmith in his book ‘The Lost Child of Philomena Lee’. Eventually, the film sets out to be the journey of Martin and Philomena – a human interest story for the journalist trying to gain foothold in the industry again and a long awaited quest for the old nun. 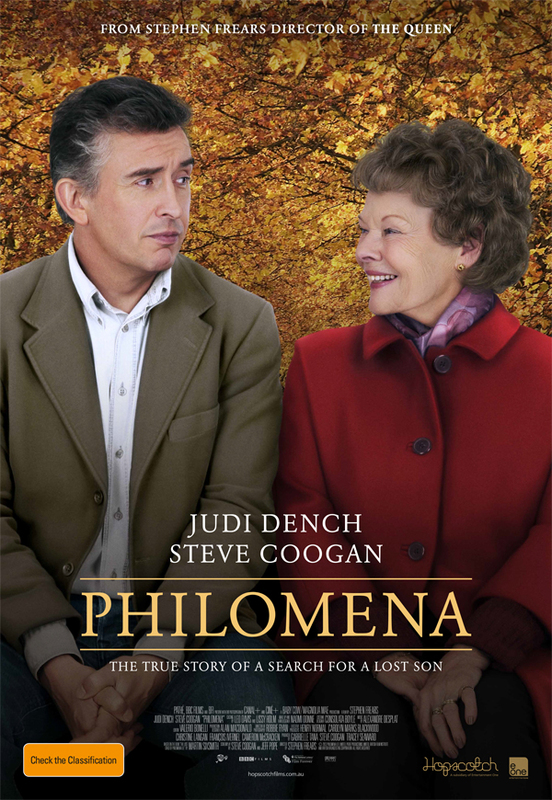 Within the plot, deep buried human emotions and beliefs through Philomena are explored, while Martin’s attitude is a symbolic representation of perhaps practicality or atheism. The film is a mixture of understanding simplicity and ambitions, anger and forgiveness. Very interestingly, it also manages to subtly point out political dispositions of the republican party in USA as well as religious heresy that is questioned time and again. In Ireland, there are nuns who were condemned by the church for carrying children and are till date paying the price of penance. What an eye-opener. Loved it. but later the veil returns, and you carry on living. Then things will be alright again. There are some films which are meant to make a difference. Such films seep into your bones and stir every part of you with such overwhelming mixed emotions. On one side you see a swedish man Anton, a doctor trying to save as many lives as possible in Sudan. 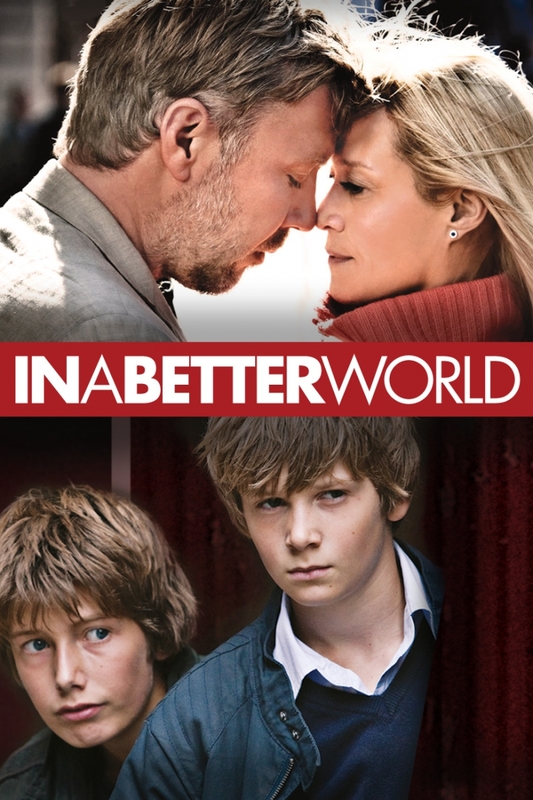 On the other side, back home – his innocent good hearted 12 yr old son, Elias befriends a strangely quiet boy in school, Christian who saves him from being bullied. While Anton has to deal with big bullies of the world who cut open pregnant women’s bellies just because they can, he also is trying to imbibe in his son the meaning to let go of bitter feelings. Because it does good to nobody. Their lives intertwine in ways, one action leading to another – human emotions expressed so sublimely and with so much caution..
that they hide deep within their mind. Mark Twain said, History doesn’t repeat itself, but it does rhyme. Well that I think will sum up this beautiful piece of work for us. 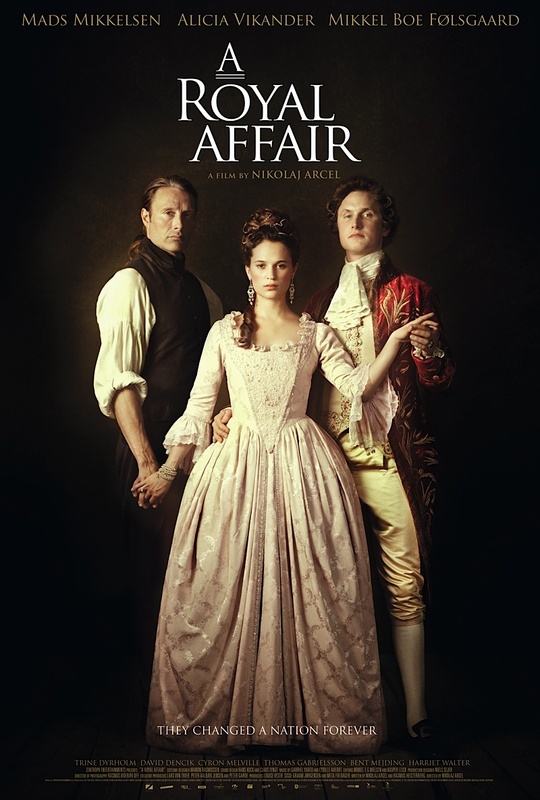 A royal affair is based on a book Prinsesse af blodet by Bodil Steensen-Leth. In the 18th century, a princess from England, Caroline married a mentally ill King, Christian VII of Denmark. It was only to realise that Denmark was not as liberal and open to ideas as she thought it would be. Inevitably, the couple grows apart in an unhappy marriage destined for forever. Enters, Johann Friedrich Struensee. A royal physician who saves the king from a small pox epidemic and becomes respected in the state. But in other revelations, we learn that he is a member of the Enlightenment group – who aim to reform the state with liberal and fair – proved ideas. Soon his influence on the king becomes a disturbing factor for the statesmen ruling for years and the affair between queen Caroline and Johann becomes an ambush to end it for all. Exciting right? Hell yea it is. You don’t wanna not watch it. Adapted on Hamlet by Shakespeare, the film is one of the handful cinemas from Bollywood that will go down to history someday. It is about Haider, looking for his father, a doctor – who has been captured by the army for treating terrorists in his house. In his quest, he learns of his mother’s affair with his father’s younger brother and becomes skeptical of his own blood relatives leading them responsible for his father’s arrest. Its stunning how the film manages to weave in and out of the characters, their roles becoming rock solid to make justice and yet, never trying too hard to justify themselves. Its quite a rare experience. Makes us all a little bit proud to be Indians and a hope that more and more films with such chutzpah will find a way to hit our screens. Loved it to the core. 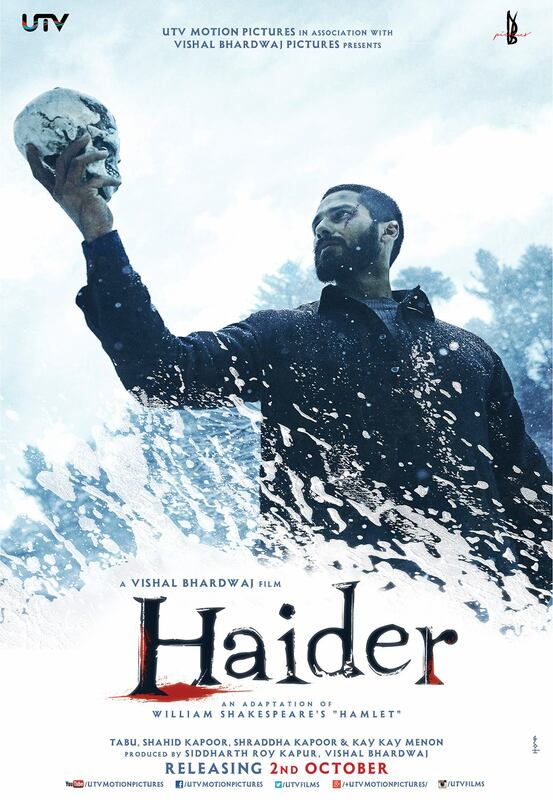 You can also read my review on Haider here. Something different finally. The film is a perfect example of Mise-en-scène. A refreshing blend of idealism and realism. With its strong characters and rock solid approach, Rajat Kapoor made a gem of a film for us. An elderly man who has lived his part of life from childhood, marriage, children and responsibilities, one fine day comes across a reason to live by his own experiences – only his where he believes what he sees and nothing else. 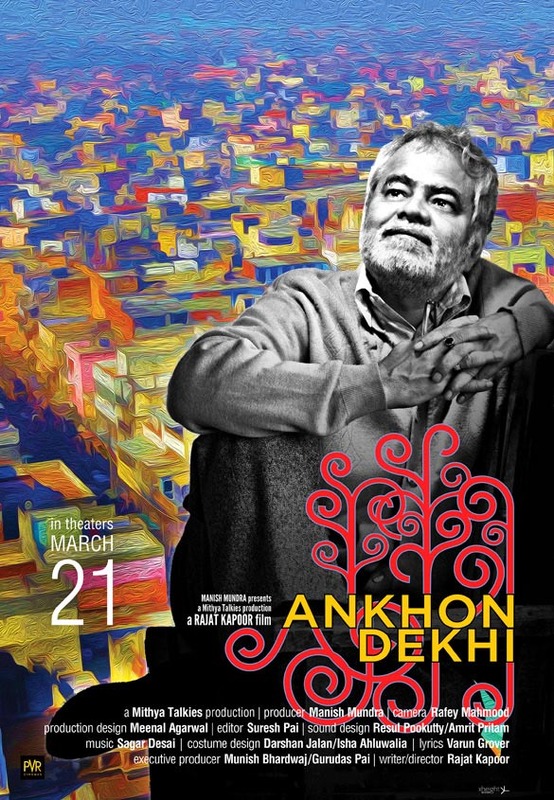 In the journey, he choses to leave his job, become a gambler and yet live by his own Aankhon dekhi.